Still stitching on March’s grasshopper pie. This one is a cutie! 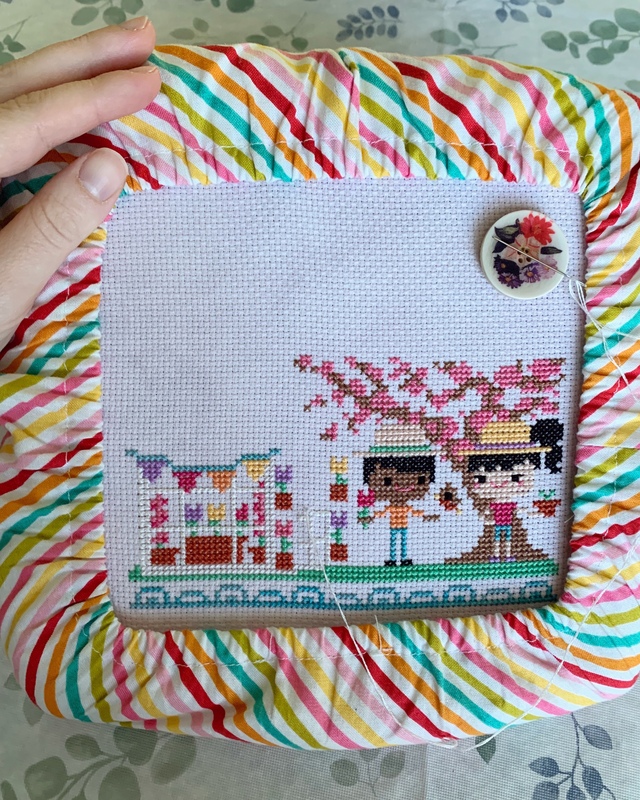 I haven’t had much time to stitch lately, but I’m trying not to lose my momentum. This is the perfect pattern to stitch while watching Nailed It on Netflix, ha! Adorable! Especially the “little stitch er”!